What Are Lofi Hip Hop Streams, and Why Are They So Popular? 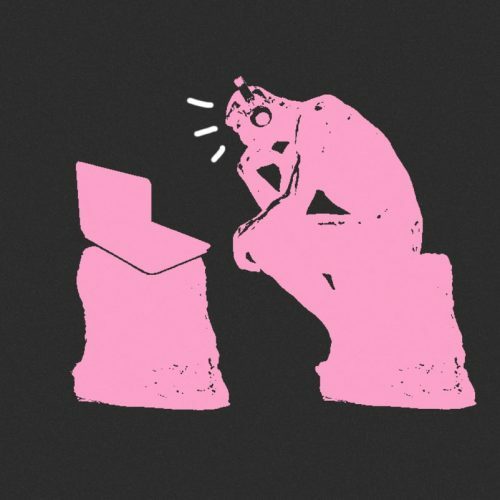 What Are Lofi Hip Hop Streams, and Why Are They So Popular? You’ve been her. The girl sitting at her desk in the early hours of the morning, the totems of her academic life scattered around. Her open laptop beaming an ambient light. A stack of worn books, a cup of utensils necessary to get her work done: pencils, pens, scissors. Her eyes trained downward as she adds a line of text into her notebook, a pair of headphones perched on her head, purring out calming, lofi hip hop beats to get her through the night. The nameless girl is left in an infinite loop of productivity, meant to welcome the stressed-out university students (or anyone searching for the relaxing, atmospheric sounds she’s peddling) that trickle in at any given hour of the day. She’s the animated face of “lofi hip hop radio — beats to relax/study to,” a 24/7 YouTube livestream. The channel has over 1,000 songs currently in rotation, all handpicked by ChilledCow, the anonymous user behind the channel that hosts the stream. 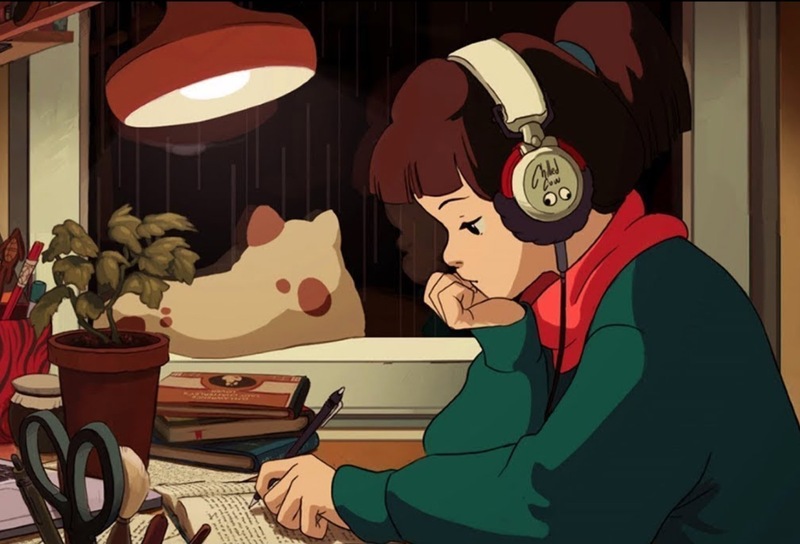 Since it first appeared a little over a year ago, the “lofi hip hop radio — beats to relax/study to” stream has amassed over 2 million subscribers to date. Sonically, it’s an MF Doom instrumental slowed to half speed, the Xanax-laced thumps of a drum machine combined with the sounds of rain patter on a window pane and synthesized vinyl scratches. It’s a hybrid of classic hip-hop beats and smooth jazz, created as if it were to be barely heard over the conversational buzz in a busy coffee shop. Occasionally, a scrap of dialogue from an obscure anime will float by, or a lyric-less cover of Frank Ocean’s “Self Control” will pique the listener’s interest, but for the most part, the music of lofi hip hop radio is designed to be present but barely perceptible. These streams are tailor-made to soundtrack the lives of just about anyone, to fill the silences left by studiers, relaxers and gamers all over the world. It’s background music for the new generation. Background music as it is known today has its beginnings in the 1920s, when an electrical engineer named George Owen Squier started a company that transmitted music through wires that were packaged and sold to customers. It marketed mainly to workplaces around the country under the promise that the music would make employees more productive. The company was called Muzak. The name eventually outlasted the company itself, as “muzak” became a moniker for the type of gratingly inoffensive music heard in elevators and waiting rooms around the world. In modern days, the potential economic advantages of background music have become common knowledge for anyone familiar with the basics of sensory marketing. Pick the right songs to drum out of your in-store speakers, and customers will spend more money. Want to make sure diners in your fast-casual eatery don’t spend too much time eating? 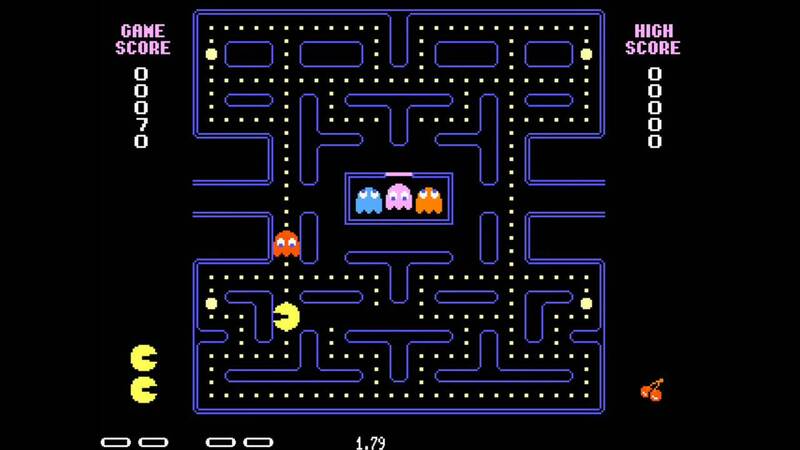 Play a fast-paced track, and they’ll subconsciously chew faster. Since its creation, background music has held a reputation as an effective economic enabler. It’s popular because it possesses the ability to evoke all types of emotions, actions and memories, permeating the human subconscious and influencing decisions, making it a secret weapon for brands everywhere. While the lofi hip hop streams of the modern day could probably claim a spot in this dynasty of audial wallpaper, they have yet to prove they have the same commercial pull as their predecessors. This is not to say the streams don’t make money. In the bottom left hand corner of ChilledCow’s stream is a banner directing viewers to its merch store. There you’ll find t-shirts, hoodies, stickers and assorted housewares stamped with the image of the channel’s now-iconic mascot, the fiercely and infinitely concentrated animated girl. Other popular channels have reportedly been approached by up-and-coming lofi hip hop artists offering money to have their songs added to a stream, representing a uniquely 2018 update to the practice of payola. However, Luke Pritchard and Jonny Laxton, the founders of “College Music,” have previously discussed their channel’s financial details. Pritchard and Laxton make money off their streams through increasing Patreon and ad revenue return as their channel grows in popularity. But, copyright fees paid to artists and labels as well, as renting out space on a server powerful enough to support a nonstop stream, still eat up too much money for the channel to be a lucrative business. What exactly, then, is behind the growing cult of lofi hip hop? Maybe its appeal lies in the fact that the creators of the most widely watched streams are college students, or around the age of college students, meaning the streams’ status as a study aid has remained at the forefront of the genre’s growth. 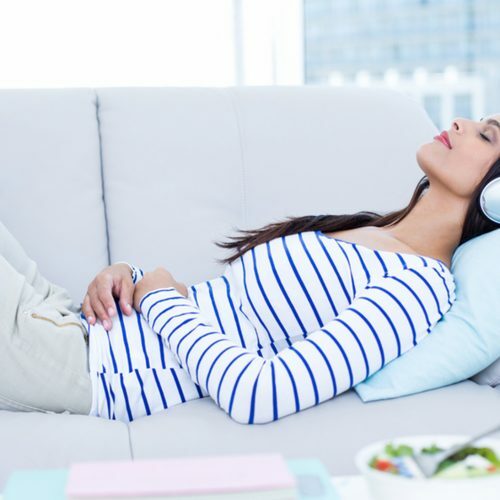 After all, several studies have been conducted proving the efficacy of background music on learning comprehension, coupled with the anecdotal evidence that some people just tend to study better with a little bit of white noise. Besides, a good chunk of the streams features a video animation of a figure in the throes of an intense study session. ChilledCow’s capitalizing on the image of a girl surrounded by books in its official merch proves the stream’s association with helping concentration is one of the factors that helped skyrocket its subscriber count. The lofi hip hop streams’ popularity as study music has collided with its appeal as a balm for anxiety. Steven Gonzalez runs the channel “Neotic,” which has just over 750,000 subscribers, and its most watched stream has amassed over 30 million views. He created his channel after discovering that lofi hip hop helped curb his anxiety attacks, and he wanted to share this with others. Lofi hip hop streams are a product for people under pressure and created by people who understand exactly how to alleviate it. It’s an endlessly available resource for students stuck in the seemingly endless cycle of academic expectation. Seeing yourself in the stream, knowing that there’s something devoted to keeping you calm, even in the most harried states, is what keeps you coming back. Whenever you need her, the girl will be there, sitting at her desk, jotting down another line in her notebook.